Teeth WhiteningReverse the ravages of time and stains with in-house whitening solutions. 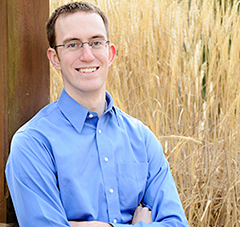 Dr. Eric Berkner, founder of Ponderosa Dental Arts, is committed to providing the best patient care in Oregon City. He is committed to fostering an environment where patient comfort and ease is priority number one. Whether you are looking for routine oral healthcare, aesthetic enhancement, or anything in-between, Dr. Berkner and his excellent staff at Ponderosa Dental arts are rigorously devoted to providing the best possible care for you and your family. Please call to confirm that we are in network for your individual plan. We accept all major payment types - cash, check, and credit cards (VISA®, MasterCard®, American Express® and Discover®). We are also proud to provide patient financing options such as Care Credit.